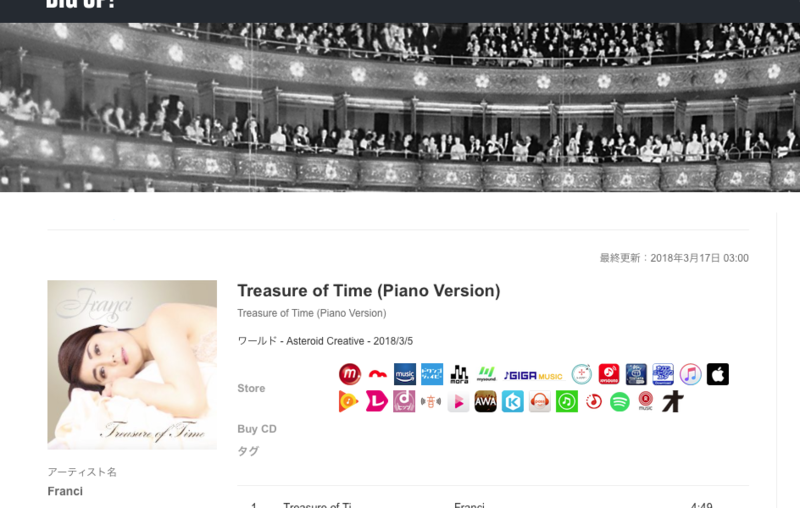 “I am so happy to announce the release of my instrumental compositions through BIG UP, AVEX Entertainment Group, Japan . 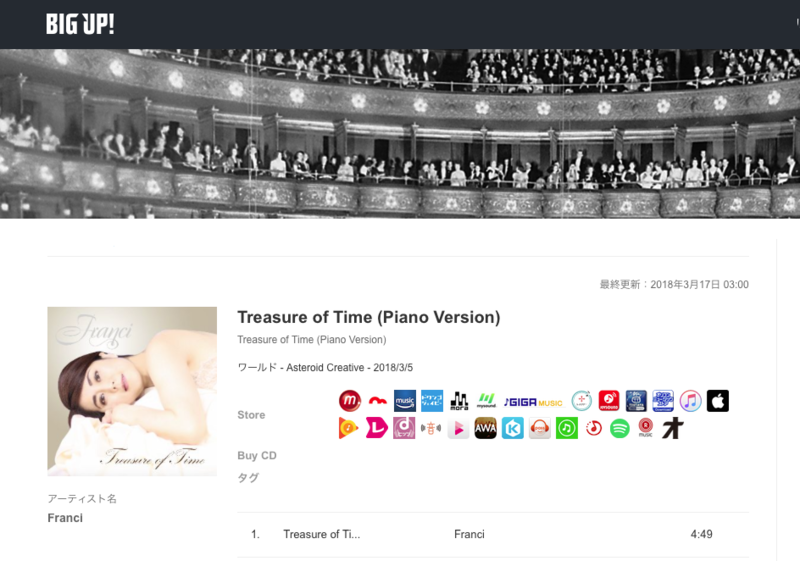 AVEX Entertainment Group から、これからのわたくしの作曲をリリースすることになりました。皆様の心に届いたら嬉しいです ? Acabo de lançar minha composição instrumental através do grupo AVEX Entertainment, Japan . Espero que chegue à cada um de vocês . © Copyright 2019 Francisongs, Virtual World Arts, Peer Music Publishing, Andora Media Publishing, BMI. All rights reserved. This function has been disabled for Franci.